In this fun, interactive workshop (for all ages! ), Jocelyn Dawn of Essentially Abundant will demonstrate how to make Aromatherapy Playdough! Parent volunteers with do the actual making-- and the kids will do the playing! As the kids are busy playing with their play dough, there will have a short casual discussion about how to use dōTERRA Essential oils safely on all ages. 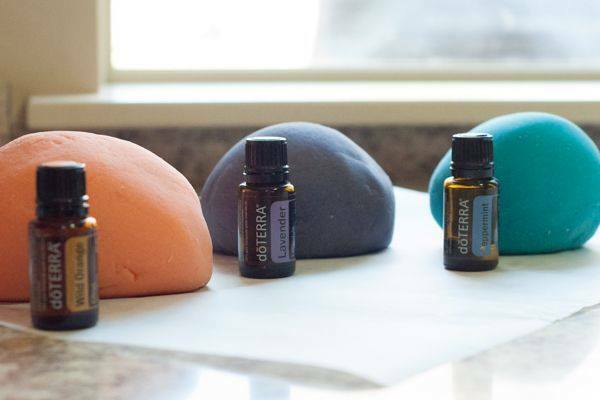 This is a unique class and each participant will be leaving with their own batch of Aromatherapy Playdough. Investment includes an introduction to using Essential oils with kids class and a Recipe e-book with recipes to easily replace all of your household cleaners. This class offers take home information/sampling and please stay informed on the facebook event for any changes. Jocelyn Dawn is a Mom of two and has been utilizing doTERRA oils as Natural Healthcare for her babies for almost 4 years. "They are our Medicine cabinet, our cleaners, and a big part of our preventative wellness routine." $15. Registration and payments must be done in advance. Cash/e-transfer payments can be made by emailing Jocelyn at weareessentiallyabundant@gmail.com or calling/text 778-584-5683.